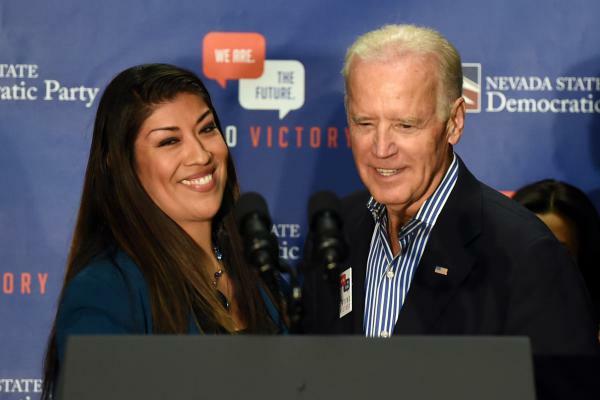 Former Nevada politician Lucy Flores, has accused Joe Biden of inappropriate behavior during a campaign visit to support her unsuccessful bid for lieutenant governor. Photo by Ethan Miller/Getty Images. Former Vice President Joe Biden’s history of nuzzling, long hugs, forehead kisses, and lingering shoulder touches has some younger Democratic voters, especially women, turned off. On March 29th, former Nevada politician Lucy Flores wrote a post for The Cut outlining an uncomfortable encounter she had with then Vice President Joe Biden in 2014. In the article she describes him putting his hands on her shoulders, leaning in and breathing deeply into her hair. Since then, more photos and experiences from other women have come to the forefront of the news. “I’m actually really glad that people are starting to talk about it, because pretty much, last year, or awhile ago, I saw a compilation of how he always did weird stuff like that, but no one really talked about it,” said Monmouth University student Nick Coscarelli. Flores was clear in her initial post that she did not feel assaulted, but the intrusion on her personal space had felt professionally disrespectful and inappropriate. “She had not read it in a sexual way, but it still was very clearly ‘gendered creepiness,’ that violated her personal boundaries,” said Meredith Bradfield, a graduate student at Simmons University. While Flores and other women have been clear, the public reaction and dialogue surrounding the initial post followed a familiar paradigm. Flores’ experience triggered an onslaught of harsh criticism of the former Vice President, as people dug into videos and images of his over 40 years of public life. But, a more nuanced conversation about personal limits has grown from the knee-jerk reaction that initially concerned publicist Samantha Simon. Biden, the front runner in the Democratic Primary, despite not having he is running president, responded with a written statement last Sunday and followed up with a video released on Twitter. Coscarelli and others, including #MeToo founder Taran Burke, said Biden misunderstood the criticism and is squandering an opportunity to listen and learn. At the International Brotherhood of Electrical Workers conference last Friday, Biden joked about the controversy. Multiple times during the event he flippantly remarked that he had “permission” to touch those he was hugging. Despite also apologizing to the assembled crowd, even some older Democrats, were underwhelmed by his handling of the situation. Coscarelli doesn’t feel Biden understands that his actions were wrong. Many feel that this is another example of Biden being dismissive of a woman’s experience. 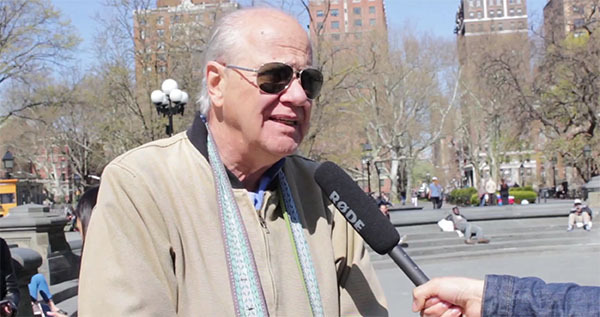 With so many questions to answer, without having even announced an exploratory committee, some are looking to other options in the democratic primary. “There are so many other people on the democratic ticket that come from diverse backgrounds– that are women and that are people of color– and I am just having a hard time being excited about another old white guy on the ticket,” Bradfield said. While Biden’s conduct has been deemed by many to be distasteful and enthusiasm is not on his side, it doesn’t necessarily mean he cannot run for president. Avotins thinks he could easily backtrack and apologize in a more sensitive way. If Biden does decide to run for president, he would be squaring up against Trump, who has a long history of sexual harassment allegations.